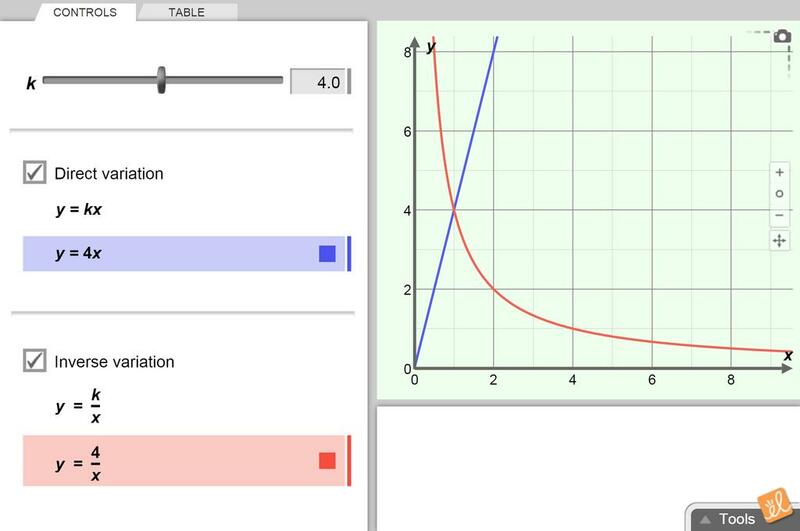 Adjust the constant of variation and explore how the graph of the direct or inverse variation function changes in response. Compare direct variation functions to inverse variation functions. This is Crystal White's version of this activity with just a few changes added on by me. Thank you Cryst... (more)al for taking the time to type this up. It really saved me a lot of time! Simple lesson on direct variation using gizmo.